Description: Sadler-Rodenroth Motors is a business categorized under truck-dealers, which is part of the larger category motor vehicle dealers-new & used. 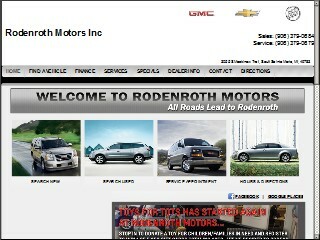 Sadler-Rodenroth Motors is located at the address 3055 S Mackinac Trl in Sault Ste Marie, Michigan 49783-9043. The VP is Steven Rodenroth who can be contacted at (906)632-2244. Location & access map for "Sadler-Rodenroth Motors"